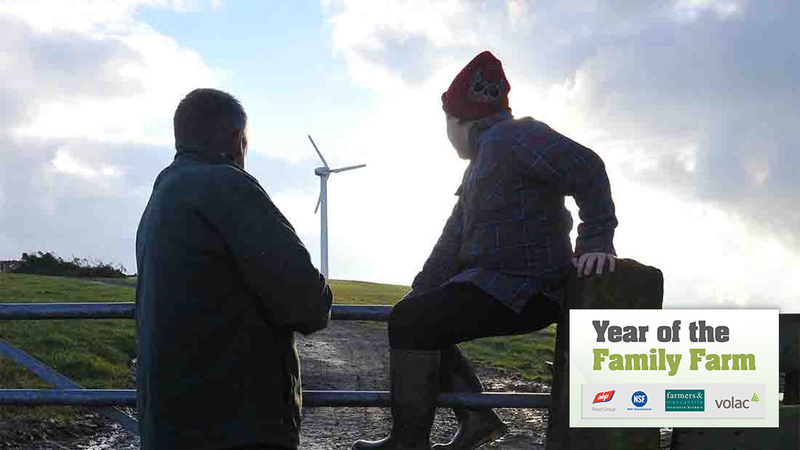 Family-run farms are the backbone of British agriculture. In fact, they are the heartbeat of farming across the globe. More than 90 per cent of the world’s 570 million farms rely primarily on family labour, according to the Family Farming Knowledge Platform. For every family member, there is an opinion, a concern and a vision for how the business is being, and how it should be, run. This can lead to a positive contribution, where shared responsibility and ownership leads to commitment to the long-term success of the farm. But families do not always see eye-to-eye, and an inconsistent or conflicting approach to important areas of the business can lead to problems. Conflict often stems from the farm’s financial performance, according to George Cook, senior business consultant at The Andersons Centre. A struggling or under-performing business leads to cracks in its structure being exposed and can bring deeper issues to the surface. On family farms, those cracks often start with chain of command, which is not always clearly defined. Mr Cook said: “Family farms tend to be less structured in their management style. “They can seem to be led by crisis management or discussion between generations or different members of the family, rather than a more defined, corporate structure. For sons and daughters coming home to farm, this can lead to frustration at a perceived closed shop for new ideas. The implications of not tackling conflict as soon as it arises can be severe. Mr Cook added: “In the worst cases, the business folds. “You may finish up with a big dispute and you get professional fees and land being sold which effectively sinks the business. So how do family farms tackle such serious and emotionally charged situations? Mr Cook said: “The first thing to do is accept you are running a business and make the time to actually plan what it is you are going to do. Plan and budget ahead. Crucially, participants need to challenge each other and listen to alternative ideas in a constructive way. Setting aside a regular date to discuss important matters relating to the farm is a simple and effective way of keeping family members and key staff informed and involved. Set an agenda, take minutes, write actions points and assign responsibilities, so the meeting leads to accountability and you have the ability to follow it up at the next meeting. Just like farm staff, every family member who is involved in the business should have a job description. Even if a someone’s job is limited to one day of office admin a month, their role should be treated in the same way as a full-time employee. Job descriptions which are written down and agreed ensure everyone knows what is expected. Within any business you will find ambitious individuals, and family farms are no different. Some are keen to take qualifications, travel or perhaps diversify the unit, while others are happy to simply drive the tractor. Understanding what staff and family members want can often make it easier to assign roles and responsibilities. If you have to make major decisions on the future of a business, it may not be easy and solutions will not come overnight. Mr Cook said it was not uncommon for serious changes to business structures to take two years or more. Using professionals can help provide an accurate picture of the farm’s performance and help shape a profitable future. Banks, accountants, business consultants, valuers and solicitors can all be called upon if the need arises. Appointing a professional mediator to help reach a settlement all parties agree to is often seen as the last step before a day in court by family farms. But Tim Wilson, an independent mediator working in agriculture, said engaging a professional early can not only lead to a swift resolution, but also save huge sums of money. He said: “Often, it can mean someone with a fresh pair of eyes and experience in farming and land management can look at options with all parties involved. If there is a disagreement between parties, the cost of mediation can be as much as £500 per party per day to reach an agreement. However, more complicated matters where solicitors and other professionals become involved can be significantly more expensive. If inter-family disagreements cannot be resolved amicably and end up in court, Mr Wilson said it was not uncommon for bitter disputes to cost more than £120,000 per party in legal fees. Mediation can take place around the kitchen table if everyone agrees, but often a ‘neutral’ venue is chosen away from the farm and business. The simplest of issues can be resolved within a day, Mr Wilson advised. The outcome is usually a settlement agreement which is written down and signed by all parties involved. If drawn up before a solicitor’s involvement, the formal statement is not legally binding, but is made up of ideas and solutions drawn from everyone involved in the process. Mr Wilson said: “In a situation where a family farming business is trying to agree roles, responsibilities, inheritance and the like, my role is to outline all the options available.